The traveling trip spreads to the natural beauty of Yuzawa spreading outside the window and the landscape of the cityscape. Please spare yourself the comfort of yourself with open mind and body. A calm space of interior decoration based on dark brown. Please spend a relaxing time on a notch. [N.30] PreCure Pretty Room! ★Premium dinner & goodies with benefits! [T. 10] PreCure Pretty Room! ★Hotel boasts breakfast & goodies with benefits! 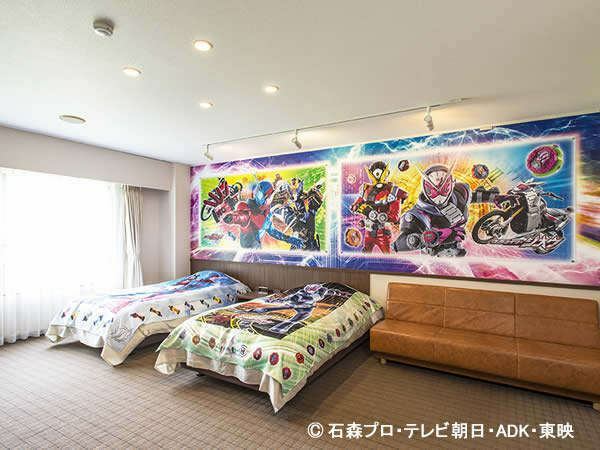 [T.11] Masked Rider Sio & Build Room! ★Hotel boasts breakfast & goodies with benefits! [N.31] Masked Rider Sio & Build Room! ★Premium dinner & goodies with benefits! You can enjoy the internet comfortably, including internet connection in the whole building, guest room, lobby, restaurant, terrace etcWi-Fi compatible tablet terminal, portable game machine also comfortable operation.PC rental is not handled.You can rent Apple's power adapter.